Carleton is a small agricultural community located in northern Monroe County, about ten miles north of Monroe. It contains several small businesses and restaurants. Its adjacent location to Monroe and the greater Detroit metropolitan area to the north makes it an ideal commuter town. The estimated population in 2007 was almost 3,000 residents. According to United States Census Bureau, the village has a total area of one square mile(2.6km2)). One square mile(2.6km2) of it is land and none of it is covered by water. The land around Carleton was originally laid out and platted by Daniel Matthews in 1872, a land developer who also helped select the site of Lansing as the state capital. He bought 80 acres there and built an inn, calling it the Matthews House. 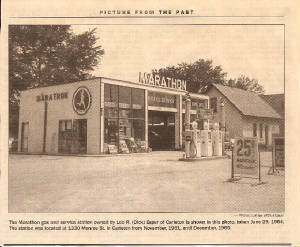 In 1874, it was given a station on the Pere Marquette Railroad, which also required a post office assignment. 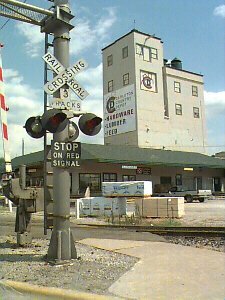 It was also developed as a station on the Toledo, Ann Arbor & Northern Michigan Railroad. 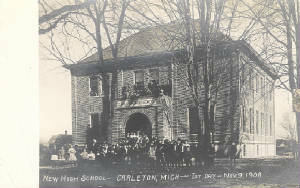 It was named after Will Carleton, a popular Michigan poet, (1845-1912). It was eventually incorporated as a village in 1911.